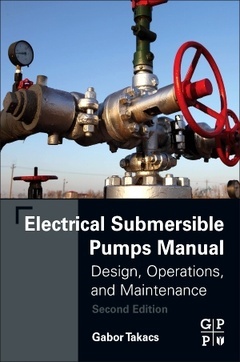 Electrical Submersible Pumps Manual: Design, Operations and Maintenance, Second Edition continues to deliver the information needed with updated developments, technology and operational case studies. New content on gas handlers, permanent magnet motors, and newly designed stage geometries are all included. Flowing from basic to intermediate to special applications, particularly for harsh environments, this reference also includes workshop materials and class-style examples for trainers to utilize for the newly hired production engineer. Other updates include novel pump stage designs, high-performance motors and temperature problems and solutions specific for high temperature wells. Effective and reliable when used properly, electrical submersible pumps (ESPs) can be expensive to purchase and maintain. Selecting the correct pump and operating it properly are essential for consistent flow from production wells. Despite this, there is not a dedicated go-to reference to train personnel and engineers. This book keeps engineers and managers involved in ESPs knowledgeable and up-to-date on this advantageous equipment utilized for the oil and gas industry. Gabor Takacs is a professor and was head of the Petroleum Engineering Department at the University of Miskolc, Hungary from 1995 to 2012. He has more than 35 years of teaching and consulting experience in the production engineering field. He was acting director of the Petroleum Engineering program at The Petroleum Institute in Abu Dhabi, UAE from 2007 to 2010, and taught at Texas Tech University from 1988 to 1989. He is also currently a technical editor for an oil and gas journal, and received the Society of Petroleum Engineers Distinguished Lecturer award for 1995-96. Gabor regularly teaches short courses internationally and is a well-known consultant and instructor on production engineering and artificial lift topics. Gabor earned an MS and PhD degree in petroleum engineering, both from the University of Miskolc.